Autism, Grand Mal Seizures, Meds: Conor Needs Some Kermit Komfort! Conor enjoys some Kermit Komfort this morning while sleeping and awaiting a trip to see our family physician. It has been a very difficult week for my Buddy as we work through his seizure and medication issues. Hoping things turn for the better today! Today is Earth Day! Conor celebrated yesterday with some Run, Jump, Fly fun on the North Riverfront Trail here in Fredericton, New Brunswick, Canada. We try to get outdoors and celebrate our natural environment with Conor every day, every chance we get. Since my son was diagnosed with Autistic Disorder in 1998 the rates of diagnosed autism have risen dramatically from 1 in 500 to the current estimated rate of 1 in 88. There is common acknowledgement that a substantial increase resulted from the DSM-IV changes which pushed acceptance of Aspergers as part of an autism spectrum. Social factors such as increased awareness and availability of services under an autism label have also been cited. Some purported autism experts though have concluded that the dramatic autism increases are entirely attributable to diagnostic changes, increased awareness and the desirability for service reasons of an autism diagnosis. One such autism expert is Behavior Analyst Steve Taylor who proclaims in the Modesto Bee that "Autism isn't spreading, but the diagnosis is". The dramatic increases have also taken place during years when genetic autism research received an overwhelming share of the autism research dollar. Calls for increased funding for environmental autism research by respected researchers like Hertz-Picciotto, Pessah, Landrigan, Birnbaum and others have not tilted the balance dramatically away from the "its gotta be genetic mindset". No study proving that the overwhelming increase in autism disorders is caused entirely by diagnostic change and increased social awareness has been produced. No study producing a genetic explanation for all or even a significant number of autism disorders has been produced. Very few environmental autism studies have been funded compared to genetic studies and yet the Steve Taylors of the expert autism community claim that there is no real increase at all. "I'm still working with the same kind of kids, but everyone today seems to have autism. I met an area family for the first time recently and the 3-year-old I was there to help looked me in the eye and told me, "Go home." He's got autism, now. No one can diagnose a complex disorder from a single interaction, but I'm going to spend months and maybe years working with this family to change behaviors that this rude boy would likely grow out of and, despite my best efforts, maybe make it worse. For pure and understandable motives, parents still lobby for the diagnosis. An autism diagnosis brings more services. The Stanislaus County Office of Education lists three pre-formal diagnostic (too young to diagnose) intensive classes of six to eight students as well as five elementary autism classes, which come with two full-time autism specialists. A student with the same delays but not diagnosed as autistic doesn't usually get that kind of specialized support." The only way Steve Taylor and the autism epidemic deniers could possibly be sure that the increases in autism rates are not real AT ALL is if autism disorders are not caused or contributed to by any environmental factors; that autism is entirely genetic in origin. Taylor is a true believer that autism is not increasing; that autism is 100% genetic in origin. For those of us who lack Taylor's brilliant insights into the causes of autism we will have to wait for studies that actually provide evidence in support of his belief that autism rates are not really increasing at all. The pictures above were initially posted on this site on May 26, 2012, several months before Conor's 1st known Grand Mal Seizure in November. As I posted then, external conditions were perfect and Conor was enjoying a favorite activity in a favorite location when he suddenly began hitting himself in the head. I don't know what caused it, Conor lacks the communication skills to explain, but it was definitely internal. Together with many similar circumstances including sudden closing of his eyes and looking blankly into the distance I reported them to his pediatrician as possible seizure activities. The pediatrician did not disagree but did not want to provide medication in the absence of any falling behaviors. Two Grand Mal seizures later and a visit to a neurologist and Conor is just now starting on medication which will hopefuly reduce seizure activity. My autistic son's second Grand Mal seizure, of which I am aware, happened when I was in an adjacent room less than 15 feet away this past Sunday. I heard the noises when his seizure began and recognized them this time for what they were. I jumped up immediately, laid him on his side and cushioned his head while his Mom called the excellent 911 emergency responders who took Conor to the local hospital, the DECH, for the excellent care and attention they have have always provided members of our family. (Including me during my recent hospitalization for a major asthma attack). I was scared this past November when Conor suffered his first Grand Mal seizure. I was just as scared this second time. I can't believe that this can happen repeatedly without serious life threatening consequences especially if no one hears him during the night, or if it happens during swimming which he dearly loves. Conor was seen by a neurologist just 4 days earlier and we had, after some base line blood tests were done, started on the low dose end of a progressively heavier medication schedule. Hopefully as the dosage is increased and has time to take effect the seizures will cease. Autism, as portrayed by most autism "awareness" groups, is far removed from the reality of severe autism with intellectual disability and sezures/epilepsy. I know it and the APA wizards who contrived the DSM5 ASD know it. Life will be easier for them and the researchers who conduct autism research while excluding those with intellectual disability, a trend which they have followed for many years and which is now condoned by the DSM5. The difficult conditions that are usually found with the severely autistic and make life difficult for autism researchers and clinicians ... intellectual disability, self injurious behaviors and seizures will be reduced substantially by being relegated to the invisible category of intellectual disability in the DSM5. I look at the multitude of "autism" studies on Google Scholar and have no idea what most of them involve in terms of autism as a disorder or the serious conditions which are related to the severe forms of autism. I do know that very few of them address the severe realities faced by my son. I do know that when the APA spends several years "recompartmentalizing" the diagnostic criteria for autism and epilepsy to come up with the DSM5 ASD they are doing no one with severe autism any favors. Their efforts and funds would serve a far better purpose if they followed the lead of the emergency responders and hospital staff at the DECH who have treated Conor and cared for him so well. Focus on helping people with autism, particularly those most in need, and save the idle academic curiosity "autism" studies for your retirement. Blood Tests and Autism: Conor and the DECH Both Did Very Well Today! Thank You Very Much! Our entire family has had nothing but good experiences at the Doctor Everett Chalmers Hospital, the "DECH", in Fredericton and that trend continued this morning when we took Conor for blood tests at 7 am. The tests were required by the consulting neurologist to establish some base lines before starting some new medications to address Conor's seizure activities. We contacted the DECH yesterday to see if they could accommodate Conor with a direct entry to the blood works room without taking a number and waiting in line. We explained his autism, intellectual disability and tendency to have meltdowns when frustrated. The administrative staff were happy to oblige and the team that met us this morning were outstanding! They knew exactly how to interact well with Conor and everything went perfect! Conor did well, very well, today and so did the DECH staff to whom we say, once again, Thank You! Autism Severity: Verbal Communication Doesn't Count? Crows Say Otherwise! One of the more irrational features in some autism discussions is the claim that being non verbal is not a significant indicator of autism severity. Anyone who thinks that verbal communication is not a significant factor in daily functioning is fooling themselves. Communication is important for humans as it is for birds. Crows are often reputed to be the smartest bird species and YouTube abounds with clever activities of crows. Anyone who has walked in areas populated by these very smart birds has heard the loud oral communication that goes on between these marvelous, high functioning creatures. As with crows, so too with people, oral communication is important in daily functioning and the absence of oral communication abilities is a serious deficit in daily functioning. My son has severe autistic disorder and limited communication. His lack of communication ability seriously limits his everyday life. To no big surprise successful, very high functioning Asperger's businsessman, author and family man John Elder Robison's new book Bringing Up Cubby has benefited from two high profile interview promotions on CNN. A promotional appearance with his son on Dr. Sanjay Gupta's Sunday show was followed with a gushing interview on the CNN morning show Early Start. CNN, and its in house neurosurgeon Dr. Sanjay Gupta, have long delighted in interviewing very intelligent persons with autism. Neither of these interviews enlightened the world about the realities faced by those less fortunate than the Aspergers family Robison, those with severe autistic disorder. There was discussion of not having a lot of friends but no discussion of intellectual disabilities, serious self injurious behaviors, children wandering, sometimes with dangerous consequences, far from family or schools, the challenges of severely autistic children in schools or in finding a place to live when their parents grow old and ultimately become deceased. CNN's autism awareness effort wasn't restricted to promoting very high functioning businessman John Elder Robison's literary career. It also assisted in kick starting the career of yet another very high functioning person with autism. The CNN obsession with high functioning autism continued with a special to CNN article by Trevor Pacelli self described as a high functioning individual with PDD-NOS. 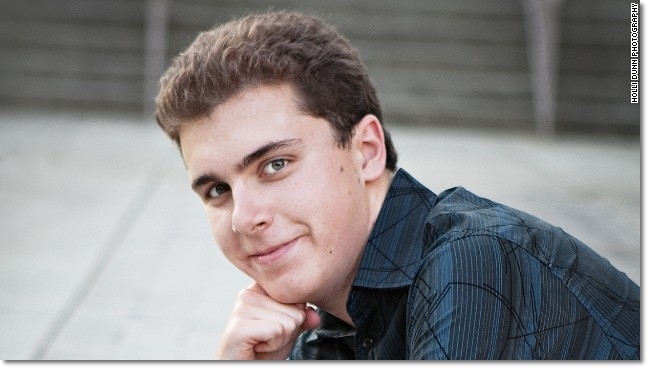 Below his Holli Dunn Photography picture it states that: "Trevor Pacelli, 20, maintains a 3.6 GPA at community college and has been accepted to five universities." Several years ago CNN afforded several episodes to the Amanda Baggs story, portraying her as low functioning. Subsequent to the CNN-Baggs collaborations several former acquaintances of Baggs, who attended the same private school for gifted youths, as she had attended came forward on the internet to describe her as a highly verbal, creative individual with normal functioning abilities. I am not suggesting that CNN or Dr. Sanjay Gupta intentionally misrepresent autism to enhance ratings and profits. I recognize that Dr. Gupta has a busy schedule and it would not be easy for him and his crew to visit a facility caring for children, youth or adults with severe autism disorders. I am simply stating that, for whatever reasons, Dr. Sanjay Gupta and CNN present misrepresent autism to the world by repeatedly featuring high functioning persons with autism. Obviously Dr. Gupta and CNN are not alone in portraying high functioning autism as representing the entire autism spectrum. Autism Speaks engages in the same exercise with very high functioning John Elder Robison and high functioning Alex Plank and tends to downplay intellectual disability and other inconvenient severe realities facing many with autistic disorder. Autism fund raising power houses and major mainstream media alike misrepresent autism to the world painting a picture of autism as gifted, shy individuals while ignoring the harsher realities facing those on the severe end of the autism spectrum. This misrepresentation provides cover for governments in funding autism research and in providing services for those with severe autism disorders: why waste dollars researching or providing services for a disorder that appears not to be a disorder after all? Each individual with autism is unique. Many of those on the autism spectrum have exceptional abilities in visual skills, music and academic skills. About 40 percent have intellectual disability (IQ less than 70), and many have normal to above average intelligence. Indeed, many persons on the spectrum take deserved pride in their distinctive abilities and “atypical” ways of viewing the world. Others with autism have significant disability and are unable to live independently. Autism Speaks, like the APA committee that drafted the DSM5 autism criteria to exclude the most severely intellectually disabled from an autism diagonosis even if they meet all the specific criteria for an autism spectrum disorder, does not wish to openly speak the truth: intellectual disability is not just a co-morbid or coincidental disorder that just happens to be present in the vast majority of cases of classic autistic disorder. It is for the original vast majority a description of their developmental deficits, while those with Aspergers do not have intellectual or language deficits most of those with Autistic Disorder do. The intellectual disability is a feature of their autism disorder whether extremely high functioning Aspergers self advocates, fund raising entities like Autism Speaks or even the APA wish to acknowledge it. There is no reason to artificially separate the intellectual disability from the "autism" symptoms. There is no scientific basis for doing so and it is morally and ethically wrong to do so. It is scientifically unsound to hide the reality that intellectual disability is an integral part of autistic disorder. It is just as immoral and unethical to hide that reality, to pretend that intellectually disabled are not truly autistic as it would be to pretend that persons of different racial, gender characteristics or sexual orientations do not count as full human beings. 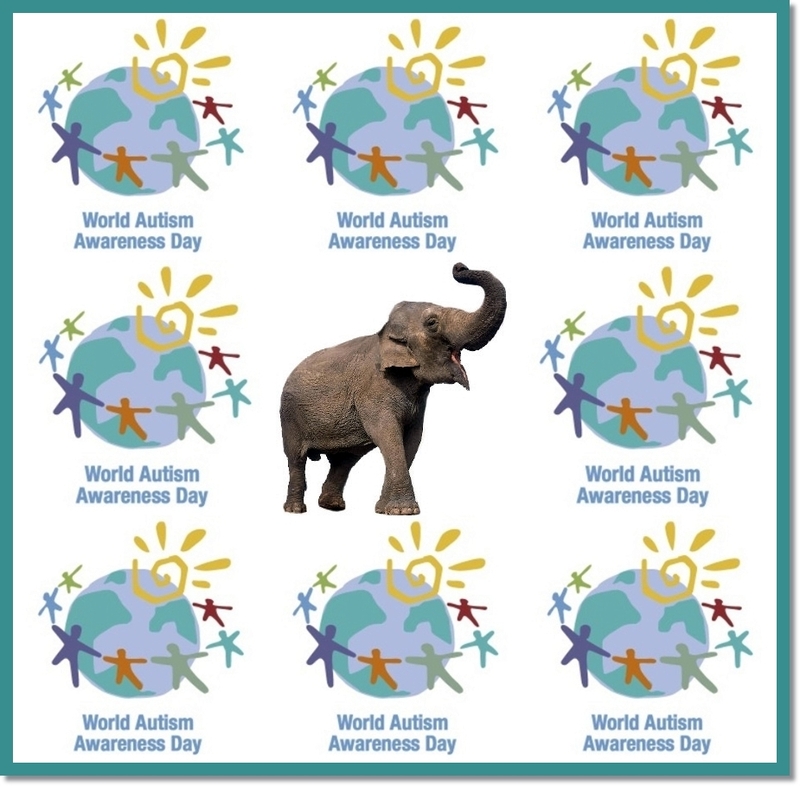 If past is prologue very little awareness of the harsher realities of autism symptoms will be generated on this WAAD, April 2, 2013. Next year, in 2014, and for years thereafter, the streamlined DSM5 autism will also eliminate many on the very high functioning and low functioning ends of the autism spectrum. It is unfortunate that in the DSM5 Autism Spectrum Disorder definition the American Psychiatric Association is revising the medical definition of autism spectrum disorder in ways that are expected to change its diagnostic characteristics. There is no good reason to wreck havoc on autism research and diagnosis by redefining yet again what we are talking about when we say "autism". 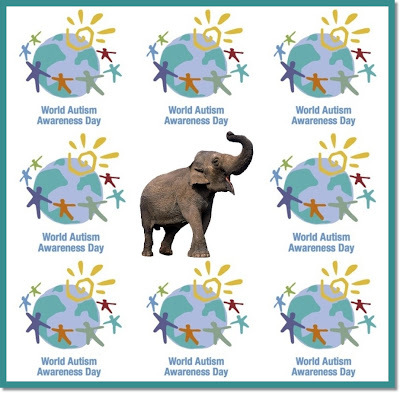 The autism disorder picture, already muddied and muddled by "self" advocates and others who promote autism as a blessing, will have even less real meaning as the APA, without any scientific or ethical reason, eliminates the most severe cases of autism from future diagnosis. Autism research, already challenged by previous DSM definition changes and alleged increased awareness, will become increasingly challenged. The actions of the APA in redefining autism in the DSM5 reflect the intellectual biases of the APA drafters, are in breach of the "first do no harm" principle and are unethical. 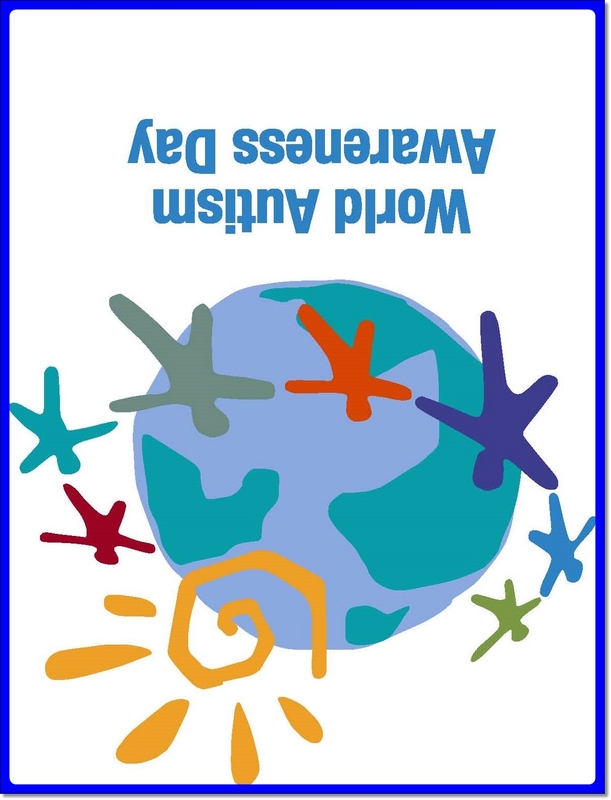 Be aware of that on this World Autism Awareness Day 2013 and prepare for a new autism on WAAD 2014, one that will look much different than the autism about which the world is expected to become more aware today. 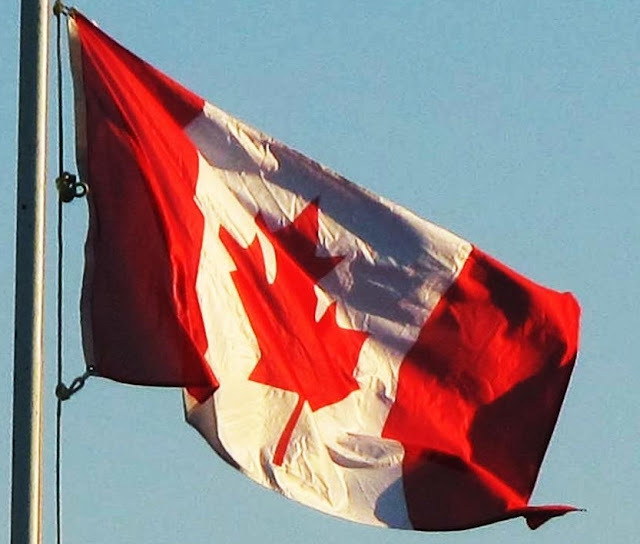 On November 1, 2012 Canada passed An Act respecting World Autism Awareness Day an Act with a great preamble which provides for absolutely no action to ensure that effective evidence based early intervention for autism would be provided to all Canadian families affected by autism spectrum disorders. Talk, and rhetoric, is cheap. Intervention is not. Failure to provide intervention and services is not cheap. The human and financial costs of failing to take effective autism action continue to rise across Canada. 1. This Act may be cited as the World Autism Awareness Day Act. 2. Throughout Canada, in each and every year, the second day of April shall be known as “World Autism Awareness Day”.